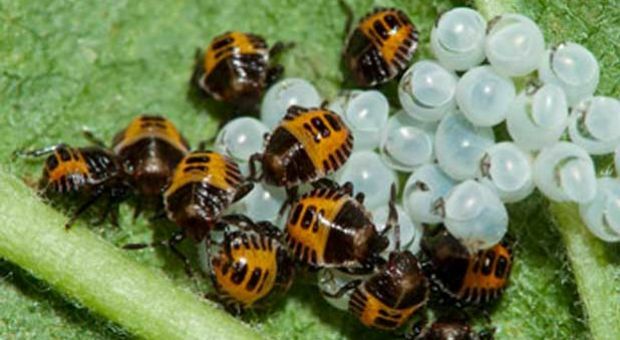 It is quite likely that you have never heard of these types of exotic pests. It is a good idea to know a little about them because they pose a significant threat to our economy and well-being. Here is some information about the exotic pests that might be of interest to you. This is a type of beetle species. It is an ½ inch long and 1/8 inches wide and is native to Asia. It destroys trees. Large amounts of them exist in Ontario, Canada, and Michigan. However, smaller amounts can be found in Indiana, Virginia, Maryland, and Ohio. They typically attack ash trees. Although they can fly, they usually only fly approximately ½ mile annually. People unknowingly transport them in ash products like logs, wood chips and, firewood. Nursery trees, certain bark, and ash logs are regulated to prevent an even larger problem throughout the region. Male Gypsy Moth photo by Leslie J. Mehrhoff, University of Connecticut, Bugwood. namely the northeast. They are very destructive since they feed on over 500 types of trees and shrubs. 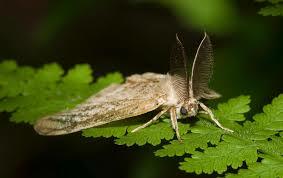 They prefer oaks as their host and other things, such as birch, apple, basswood, sweet gum, and willow. Their caterpillar is often recognized due to its blue and red dots. They travel long distances on outdoor household objects, such as recreational vehicles, household goods, and cars. People ultimately transport this pest from one place to another. The spotted winged drosophila is a type of fruit fly that can become very problematic for berry growers. It is native to Southeast Asia but is becoming more of a problem for growers in the U.S. due to its infesting fruit during its ripening phase. It has been reported that this exotic pest was first recognized as recent as 2008 in California, USA. It has a negative impact on the economy since many depend on the fruits that they tend to infest. Controlling them can only be obtained with accurate monitoring of the number of species in the crops. This is another exotic pest that destroys trees, hemlock trees. It is a small insect that is also native to Asia and poses a serious threat to the preservation of hemlock trees in Eastern, United States. They were initially discovered in Virginia but since then, they have been found in over a dozen States. Once an infestation is detected, it can destroy trees within 4 years. Hemlock trees provide many resources, which include shelter, food, and lumber. One method of destroying hemlock wooly adelgid is with the use of non-toxic insecticides applied to the tree’s foliage. It eventually smothers the insects. 1998. It is an agricultural insect that destroys fruit and vegetable crops. The stink bug begins feeding on U.S crops in late May. Its host can be anything from apples to soybeans. They can survive the cold season by finding their way into homes. They may be noticed flying around lighting fixtures inside your home. Some people say the smell they omit is like the smell of coriander. Since 2010, up to seventeen states have established populations of the stink bugs. The Department of Agriculture actively seeks to control the spread of this type of exotic pests. There is no doubt about it; some type of pests will always exist that we will have to contend with. The best way to control an infestation of exotic pests is to make sure they are reported to The Department of Agriculture for further investigation. If they are not reported, nothing can be accomplished to help get rid of the problem. Everyone must do their part for the efforts of eradication to be successful.